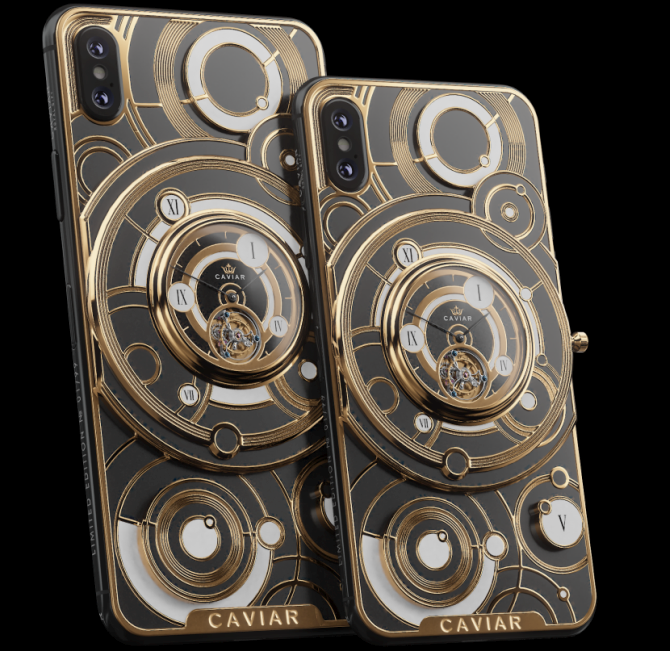 Caviar, Russian luxury brand of smartphones and cases have come up with all new limited edition iPhone XS and XS Max models. Taking customization to new heights, the innovative design adorns the back panel of the iPhone with a tourbillion. Taking inspiration from traditions of watch complications, the luxury brand went extra mile to merge a mechanic watch with a smartphone. Tourbillion is an extremely accurate mechanism that offers perfect preciseness of the time reckoning by negating the effect of gravity when the timepiece is stuck in a certain position.